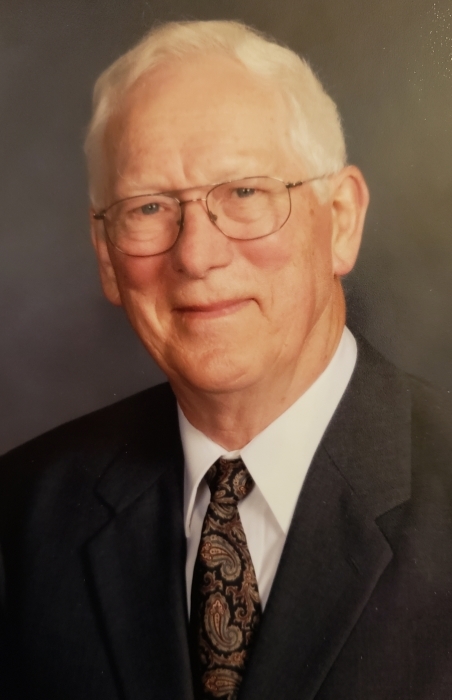 Robert W. Schroer, 85, of New Knoxville, died 7:35 A.M. Sunday, April 14, 2019, at Joint Township District Memorial Hospital, Saint Marys. He was born August 14, 1933, in Auglaize County, Ohio, the son of Joseph and Ella (Wellman) Schroer. He married Mary Buddemeyer on September 15, 1956; she survives at the residence. He is also survived by his sons: Paul Schroer of New Knoxville; Kevin Schroer of Seattle. He is survived by a grandson, Ryan (Amanda) Schroer of Saint Marys; by three great-grandchildren: Tyler Schroer; Taylor Schroer; Wyatt Schroer. He is survived by a sister, Joanne Valentine, of Montezuma; sister-in-law, Becky (Larry) Longworth of New Knoxville; brother-in-law, John Buddemeyer of Salisbury, North Carolina; by many nieces and nephews. He was preceded in death by his parents and by a brother-in-law, Dave Valentine. Robert was a graduate of New Knoxville High School. He served in the US Army as a specialist first class radio operator in Baumholder, Germany. He retired from Stamco in New Bremen, where he worked as an electrician, and foreman. Robert enjoyed making baskets, carving wood and riding his bike. He was a member of the First Church of New Knoxville, where he had served as an elder, deacon, and Sunday School Superintendent. He was a member of American Legion Post 444, New Knoxville. Funeral rites will be held 10:30 A.M. Thursday, April 18, 2019, at the First Church of New Knoxville, the Reverend Joel Bucklin, officiant. Burial, with military honors, will follow at Pilger Ruhe Cemetery. Friends may call from 2-7 P.M. Wednesday in the Ministry Center of the First Church of New Knoxville, where memorial gifts may be given to the Heating Fund of the church. Vornholt-Miller Funeral Home, 200 West Spring Street, New Knoxville, is entrusted with Robert’s funeral arrangements.